Are you brave enough to visit Mongolia’s most remote corner during late winter? Check out this video to get an idea of what to expect. Known as the Blue Pearl of the Mongolia, lake Khuvsgul (over 200km in length!) is located in the northwest of Mongolia, close to the Russian border. 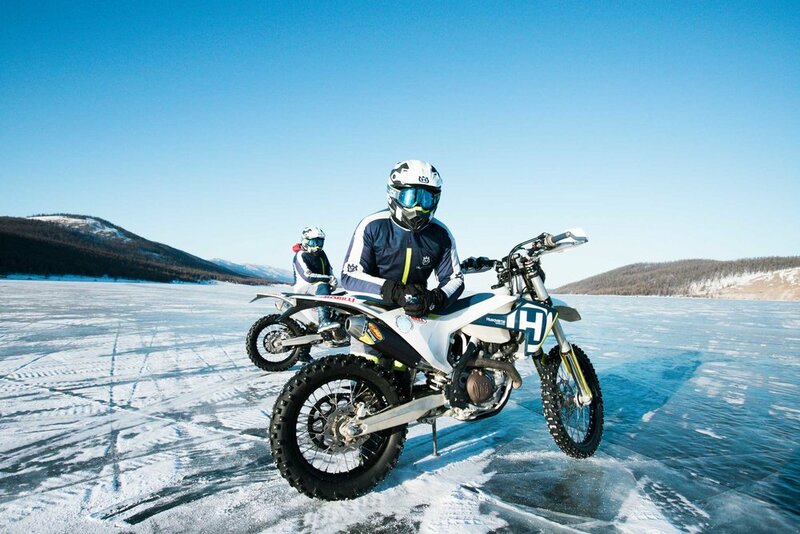 Visiting and riding on the frozen Khuvsgul lake during early March, a true once in a lifetime experience, its also the time of the famous ice festival! It will be very hard if not impossible to find an experience that comes even close to what you are going to see. We are the first and only operator organizing enduro riding on the lake during winter, bikes are equipped with winter tires and spikes. This tour is made for individuals who want to see more than just riding on ice: we are going to visit the Tsaatan tribe, the only tribe left in the world still riding on reindeers. 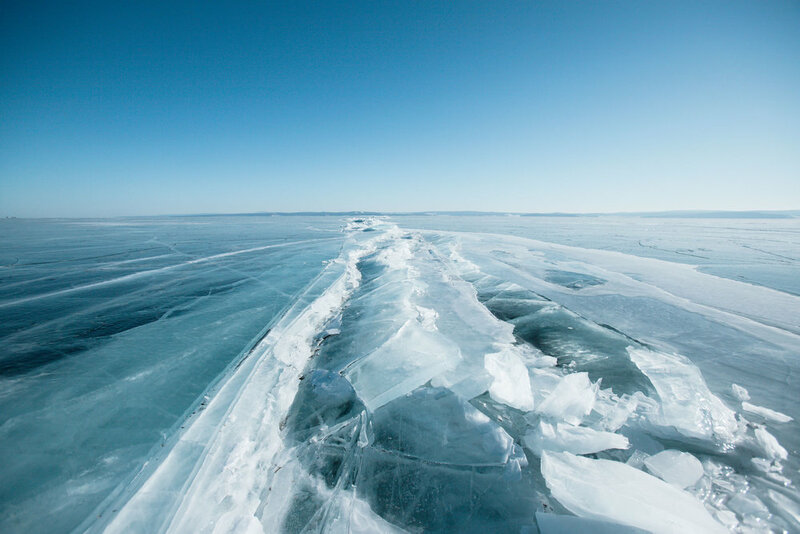 The tribe lives in extreme remoteness, only reachable in a shorter time because we can cross the frozen lake – otherwise it would take days only to get there. Other optional activities include: horseback riding, dog sledding and hiking up the highest peak in Khuvsgul, Chu-Chu peak (3000m). Daily temperatures range between 0-10 degrees, you will be staying in the most comfortable gear camp there is: the Toilogt camp, gears (Mongolian tent) with warming ovens and evening bon fires are waiting for you. We will pick you up from the airport and take you to Viva hotel (unless you have reserved a different hotel during the booking process), which is located right next to our Husqvarna showroom. You will meet with our team later in the afternoon to receive your equipment, followed by a detailed safety briefing. Welcome dinner will be hosted by our team in Ulaanbaatar. It’s a long way to Khuvsgul, so we will depart early at around 6am by a private minibus. On the way we will stop by Erdenet, the second largest city in Mongolia and continue to reach Baatarvan Resort in the beautiful Bulgan province where we will stay overnight. You will be able enjoy their famous massage and treatment during the evening. Another 270km to go and we will arrive at our final destination, the beautiful Toilogt camp, located on the northwest side of the lake. The location of the camp is unique, right next to the lake. The scheudule for the next couple of days consists of a variety of activities: we will ride the bikes to the north and visit the Tsaatan tribe, the last reindeer herders in the world, dog-sledding. Other day you will have hiking trip to the Chu-chu peak, over 3,000m above sea level. The view is breathtaking, you can see the entire stretch of Khuvsgul lake, over 200km in length. During the evenings you will enjoy different types of cultural performances such as “Hoomi” throat singing and traditional dances as well as some warming bon-fires. We will start heading back to Ulaanbaatar in the late morning. On the way back we will spend a night in the Erdenet city. We aim to arrive in Ulaanbaatar during the afternoon. Shopping for some of the world’s best cashmere and city sightseeing are optional. We will host a good-bye dinner in the best Hot Pot restaurant in town. Departure, we hope you to welcome you again during one of our summer trips.